Dragon's Blood, an ancient fragrance made from a reddish plant resin, is said to have cleansing, protective and healing properties. It is a resinous,heady and slightly sweet fragrance that is popular for use in ritual and magic. 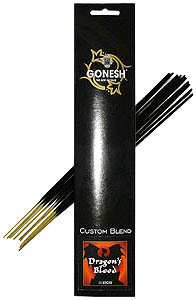 Package contains 20 sticks of high quality charcoal incense.